The recording arts industry is dynamic, buzzing, and alive with activity 24/7. It is one of those fields that absolutely must be experienced hands-on to have any valuable understanding of the craft. Many of the top recording arts schools are keenly aware of this fact and seek to provide as much real-world training as possible. One of the easiest ways to do this is to be located in a region of the US where such opportunities present themselves, and not all locations are created equally. When considering where to study recording arts, make sure to pay attention to the surrounding area. Are you looking to get into the music industry, film and TV, or maybe video games and technology? Are you more interested in studio work or live performance? Are you trying to find an internship and get hired on in the same area? Your answers to these questions may help you decide on a particular area of the country in which you'd like to study. A great school is a great thing, but a great location can sometimes be even more important. 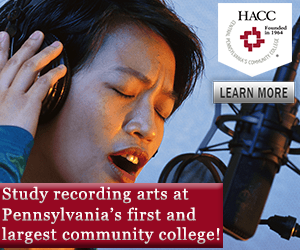 Below are some of the hotspots for studying recording arts in the US. Home to Walt Disney World, Universal Studios, and an assortment of other attractions, the Orlando area is overflowing with live shows. In addition to the theme park side of central Florida, the Orlando area is also known as a hotbed for aspiring studio musicians. As tourists are constantly flowing through the area, each live show, each presentation, and each music concert must entertain and amaze every time. To keep things fresh and to keep people coming back for more, companies in central Florida are always seeking trained recording artists. Los Angeles and the surrounding areas have long been associated with entertainment. Hollywood is known internationally as the movie capital of the world and a significant amount of blockbusters are still filmed and produced within its many studios. Seasoned studio professionals who have been around since the glory days of the mid-1900s mingle with young talent pouring in from around the globe to form a bustling community where creativity, passion, and technological expertise produce groundbreaking films. In addition to Hollywood, the southern California region is home to large portions of the music industry. Back in the old days it was a standard American cliché that aspiring musicians would give up everything and head out to California with hopes of signing a record contract. Not much has changed since then, but advancements in recording technology have certainly changed the landscape. In the case of either film or music production, southern California is a fertile location for aspiring recording artists. Whether you value learning from the masters or seek to break the mold, this area of the country provides numerous possibilities for hands-on learning. Recording arts degree programs in the area—such as the one at Loyola Marymount University, one of the top recording arts schools—recognize this wealth of opportunity and integrate the southern California entertainment culture into their training process. Los Angeles always has been and continues to be a great spot for young people to hone their craft and make a name for themselves. The constantly gorgeous weather doesn't hurt either. If you take the scenic drive up the Pacific Coast Highway, you'll arrive at another hotspot for recording arts. Northern California is home to Silicon Valley, the center of the digital technology universe. Tech startups are everywhere around the San Francisco Bay, as are tech giants like Google and Apple. Recording arts technology is well-represented among these companies as each seeks to outdo its competitors with the latest in entertainment and information software and hardware. International students who wish to pursue careers in computer technology or video games should definitely look into Northern California when considering where to study recording arts. From small schools like Foothill College, which offers a 2-year associate's degree in music technology, to large programs at esteemed universities, such as Stanford University's Center for Computer Research and Acoustics, Northern California offers several opportunities upon graduation. New companies and established giants are always seeking job candidates with training in the newest technology and who have that spark of creativity that will take their company to the next level. If the west coast is not the place for you, there are several other options. How about a spot right in America's heartland? Though places like New York City and Los Angeles may be more famous around the world, the true capital of music production is Nashville, Tennessee. With nearly three times as many recording studios as Los Angeles—the next highest city in the US on the list—Nashville has really earned its nickname, The Music City. Originally a hub for country and roots music, Nashville now encompasses a sprawling music scene. With hundreds of live music shows nightly, recording artists of all specializations are constantly active. Nashville is also known for its southern hospitality, so those recording artists are always looking for a way to collaborate. There are no big schools for recording arts in Nashville, but several smaller specialized schools, such as The Art Institute of Tennessee—Nashville, dot the landscape of Music City. This lack of massive programs, though, may not seem like such a big deal when you have so many real-world studio opportunities to work with. When thinking about where to study recording arts, you should always take a school's location into consideration alongside the more usual concerns. International students who want to dive in to the heart of American music should definitely direct their attention to the capital of Tennessee. When it comes to international cities, nowhere else in the US compares to New York City. Movies, TV, music, and technology all come together in The Big Apple. You can take in a massive classical orchestra performing Baroque masterpieces, then check in next door to catch an indie band playing for a couple dozen people. You may have to change your route to school because a street is closed off for filming next summer's smash hit. As you stand in line to get coffee, you overhear at least six different languages being spoken across an assortment of technological devices. The New York City experience really is one of a kind and its plethora of opportunities make it a great place to study recording arts. New York City lures in idealistic young people by the thousands and international students who have a desire to live the starving artist lifestyle while pursuing their dream career could hardly ask for a better location. Communities of media artists surround the area schools, offering a wide variety of opportunities to test out your recording arts skills among peers. Whether you prefer a smaller program like the one in music technology at The City University of New York, a larger one like the bachelor's of fine arts program at New York University's Tisch School of the Arts, or anything in between, the city itself provides an expansive classroom where taking a chance is encouraged. Learn more about studying recording arts in the USA by reading our growing article collection. « Study Guide by Subject	« Study Recording Arts in the U.S.